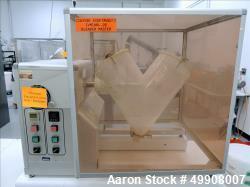 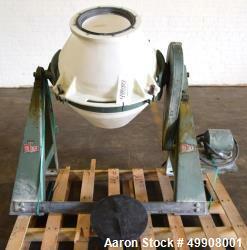 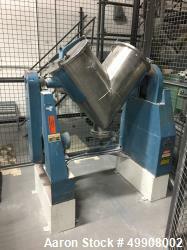 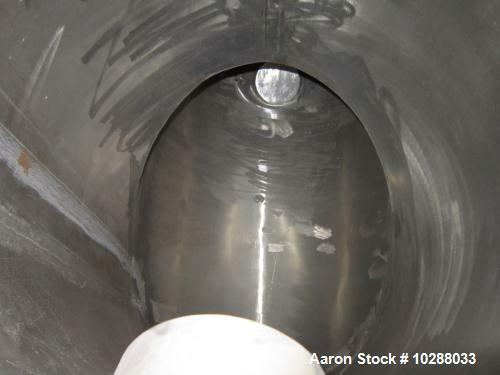 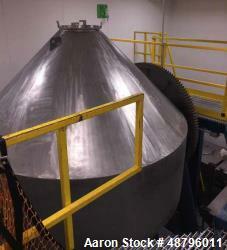 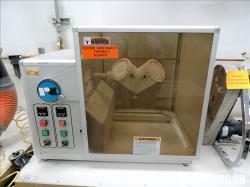 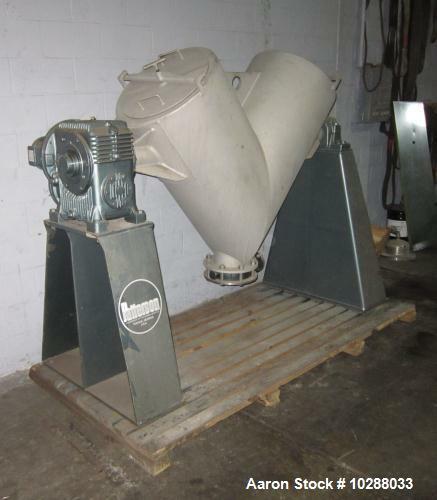 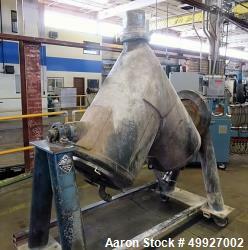 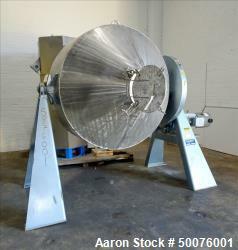 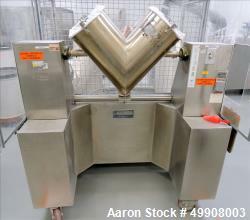 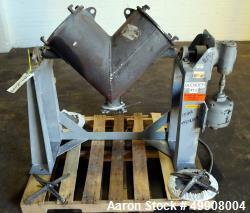 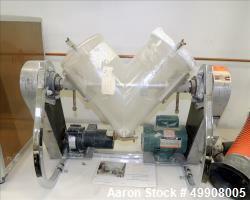 Used-Patterson 10 Cubic Foot Twin Shell V-Blender rated for 65 lbs per cubic foot, stainless steel contact parts. 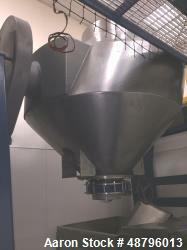 Painted frame and motor drive. 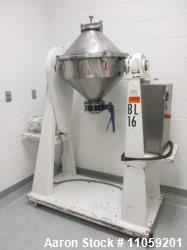 (2) Standard 18" doors for loading and cleaning. 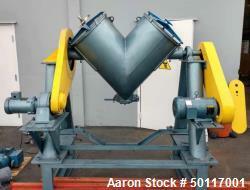 8" Diameter discharge with manual butterfly discharge valve. 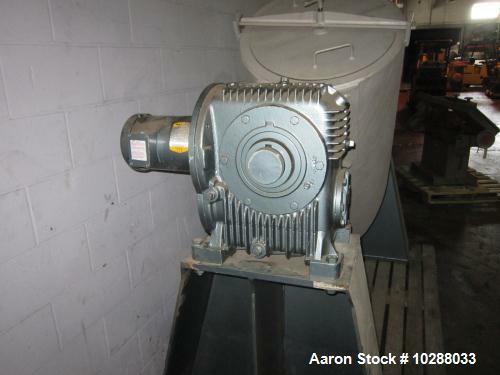 2 Hp Baldor motor with gear reducer, 208-230/460 voltage. 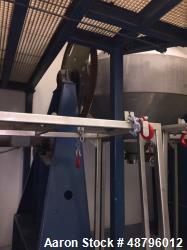 Gear ratio 80:1, approximate blender rpm of 21. 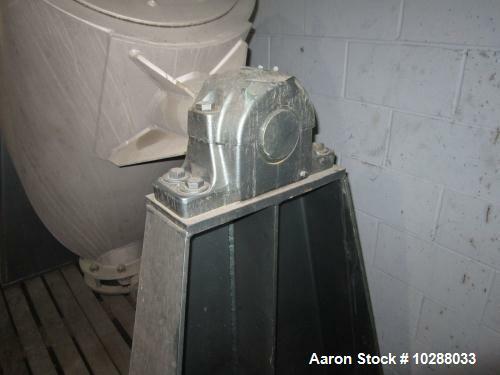 Oversized roller bearings, 3.25" diameter shafts. 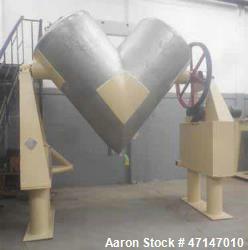 Footprint: 36" X 90" X 70" high.